The Boulevard, a mixed-use retail development, owned and managed by Pace Properties. 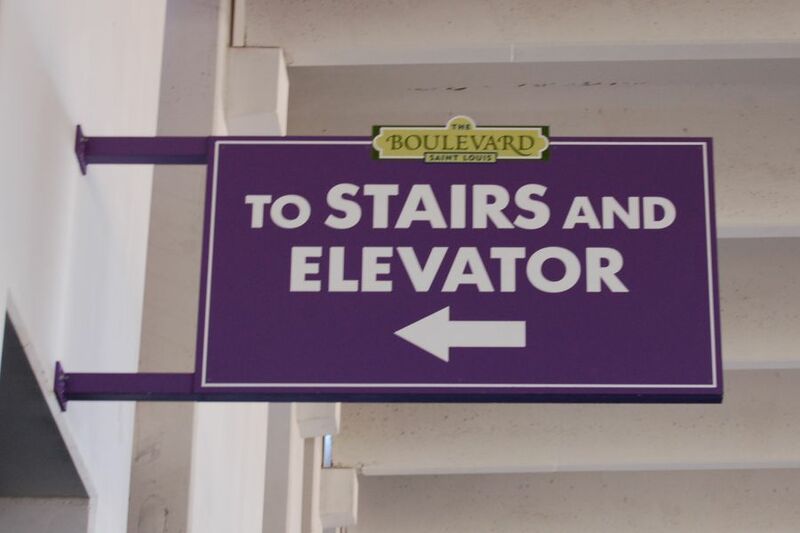 The total scope of this project included various illuminated and non-illuminated signage, ranking from vertical lamp post projecting signs to little parking signs to large fabricated trusses and even parking garage wayfinding. The main truss was built in three section for transport to site. The truss had to match the prescribed radius of stone and required significant support gussets. This was the larger of two which were designed to enhance "Main Street" but also identify the parking garage entries which were situated between storefronts and below apartments. 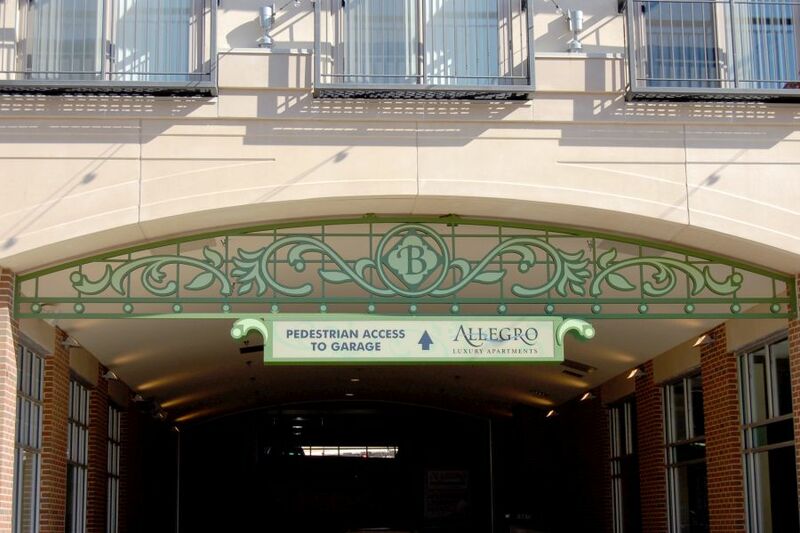 We also designed the 4-level parking garage wayfinding which is comprised of some 150 pieces. Brian Ballok, designer from Warren Sign, reflects on the experience: "The overall project was a great collaboration between architects, designers, general contractors and retail managers. 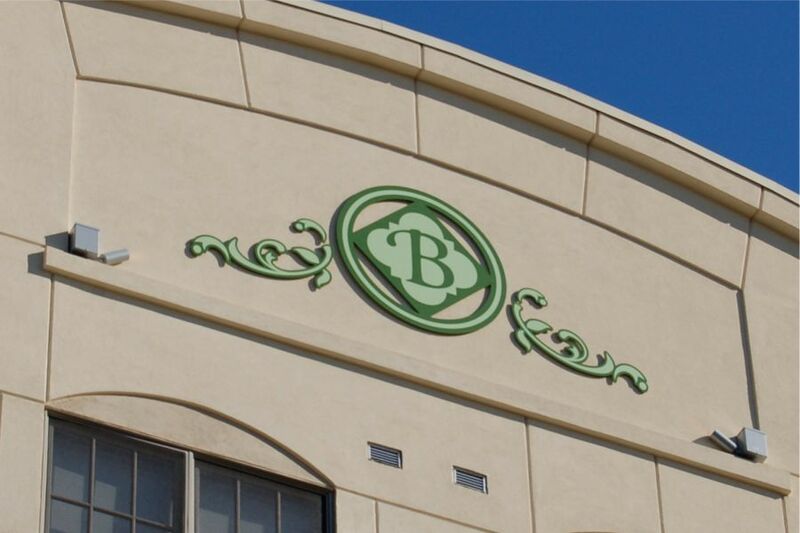 The success for the Boulevard aesthetic can be attributed to the individuals who worked together to make it happen. 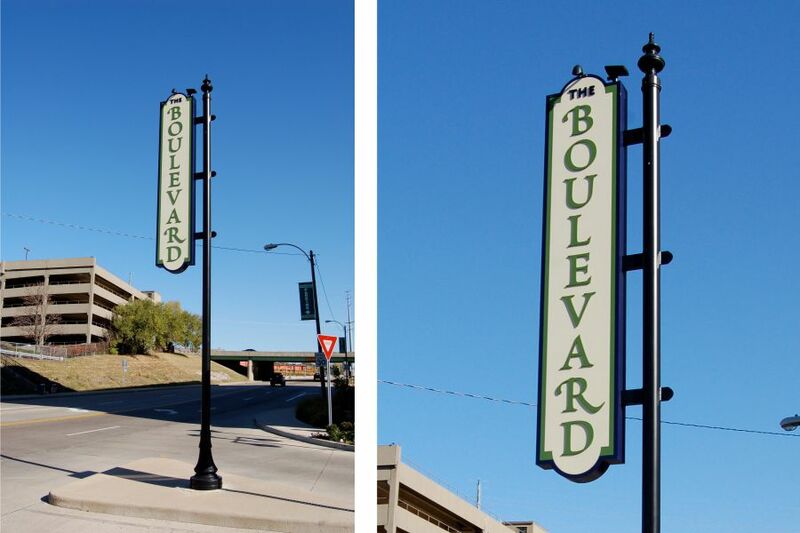 The Boulevard - Saint Louis is a vibrant village with a unique blend of upscale retail, fine dining, and luxury residences. 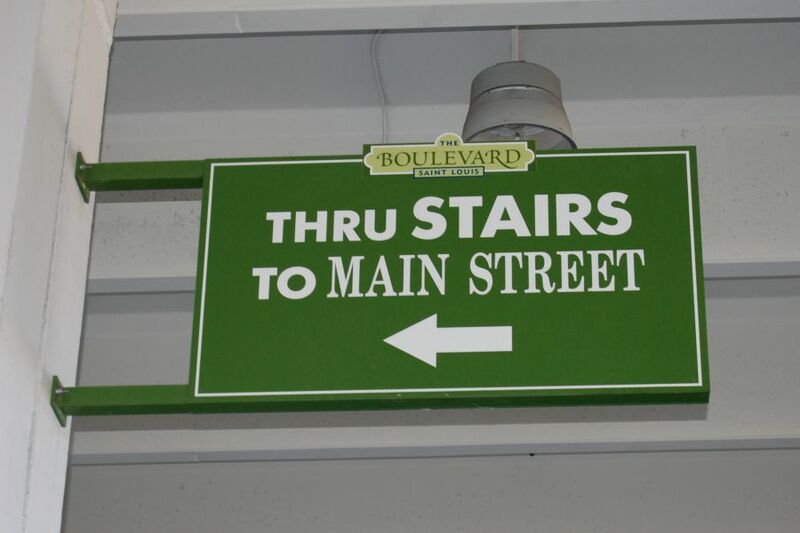 The Boulevard is the premier lifestyle development in the St. Louis metropolitan area. Warren Sign was proud to provide it's full range of services including concept and design, manufacturing, and installation. The advantage is clear: Warren Sign can provide your business with an exceptional array of custom possibilities, uncompromising in design, quality or integrity.